Hello Windows User, We Come back with new interesting Article Where We are going to share an article about Fix Razer Synapse Not Working on Windows 10. If You are Biggest Fan Of Razer Product Then Definitely You are using Razer Product From Last Since. But Sometimes There is some issue created You are not Opening Razer Synapse, So Don’t Worry About it Because Here We Are going to share article related Fix Razer Synapse Not Working on Windows 10.Also check this tutorial to fix exodus redux no stream available error on kodi. Using Razer Synapse, You can Manage all your other Razer devices. Razer Synapse Not Working error caused by missing or corrupted or outdated drivers. In Windows, Mostly Error caused by Incomplete drivers or Older Windows Version. So Now Check out below for more details about this article and easily fix Razer Synapse Not Working issue. If You are facing Razer Synapse issue and You are looking for easiest and Simple method Then Here below we share different methods to fix razer synapse not working error. razer synapse won’t open is simple and easy to fix the error. So let’s see below for more Methods. 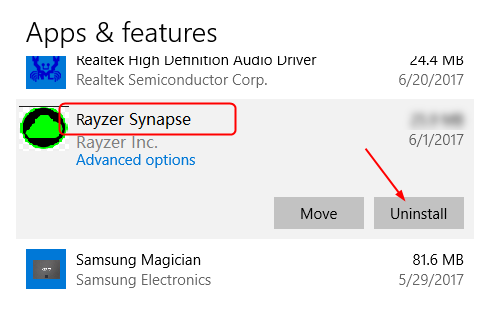 First Download Official drivers of Razer Synapse from Official Website and then install it. 1) First Open Your Computer and Open RUN. 2) The Type devmgmt.msc > Ok.
3) Now Click On Expand the Human Interface devices and Then Click On Keyboards in Dropdown Menu. 4) Also, Tap On Mice and other pointing > Expand it. 5) Now Right Click On Razer devices > Uninstall. 6) Now Back to Programs and Open Apps and Features. 7) Then Choose Razer Synapse and click on the Uninstall option. 8) Now Remove Plug from all Razer devices and disconnected for about 3 minutes then Plug them back. After Following steps, Razer Synapse Not Working error will be solved and start working again. 1) First Uninstall Synapse > delete old files. 2) Then Download Razer Synapse software> Install the software > Connect Synapse to the internet. 3) After Successful setup will be done, You Will Get Two Notifications. 4) Then Click On Razer Surround > cancel. No need to Update. After this, if you update the Synapse software, then click on it and restart your computer. If You are using Anti-Virus On Your Windows Computer then Turn Off Firewall or Anti-Virus because of Mostly error caused by Anti-Virus Which is Blocking some services. 1) First Download Driver Easy From the Following link and install on Your Computer. 2) Run > Scan Now. 3) Now Wait for few minutes until Driver Easy will scan your Computer and list down all required drivers. 4) Download and install all and reset PC. Done..!! Check Now If Still getting the error or not. 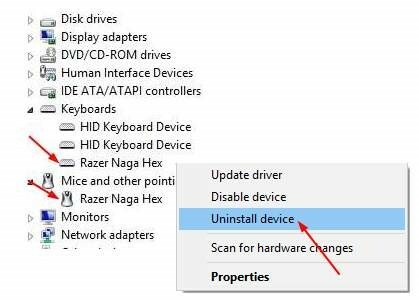 If You are using Windows 7 or Windows 8 Operating System then Try This method to fix Razer Synapse Not Working error. Windows 7 – If You are using Windows 7 OS then Open synapse properties > Compatibility > run program. Windows 8 – Open synapse properties > Compatibility > run program with windows 7. 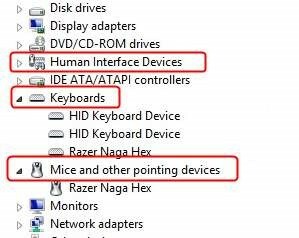 Now You Have Different Methods to Solve issue Of Razer Synapse Not Working On Windows 10. If You are satisfied with all these methods then Comment us below in comment section and Share with your friends and family Member on social media.